Whenever you make a search for something online, have you ever wondered why just a few websites come up on the first page constantly? Is it because they created the contents first? Well, let’s find out. The web is a large archive of information, that for every specific search you make, you can find thousands, hundreds of thousands or even millions of websites, with related search results. So, to better help you with your search, a search engine (e.g. Google, Yahoo!, Bing etc. ), ranks these sites automatically and very fast, based on some specific criteria. These criteria can range from the quantity, and quality of relevant information present on the webpage, to the number of links channeled to the webpage. To better understand this concept, let’s take a look at how a popular search engine like Google works. When you make a search on Google, let’s say “best soccer player in 2014″, Google goes into its index, and with the help of its crawlers, it pulls out every single webpage that mentions some specific keywords related to your search, which in this case will be “best”, “soccer player” and “2014″. It then uses an algorithm, which has been programmed to follow some specific criteria, to rank all the web pages from number one to infinity, and all these take about 0.28 seconds, or faster to process. A website’s ranking for some specific keywords on a search engine, to a large extent, determines the number of organic (or ‘natural’) traffic, it’s going to get. So for a website to be ranked high, it has to be optimized in a format that will meet the criteria of the search engine. 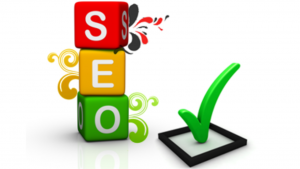 This process is called, Search Engine Optimization (SEO). Search Engine Optimization (SEO), is a division of Search Engine Marketing (SEM), which encompasses of all marketing strategies for search. There are two types searches. You have the “organic (‘natural’) search”, where web pages are being rank based on their optimization. You also have the ‘paid search’, where a website pays to get ranked high for some specific keywords. To generate free organic traffic, a website has to be fully optimized, using regularly updated SEO techniques, and one of which is the implementation of ‘keywords’ in your web contents. 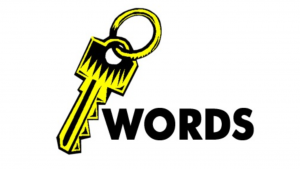 What Are Keywords, And Why Are They So Important? 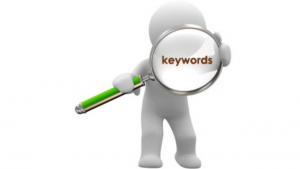 Keyword(s), or combination keywords, are what you enter on a search engine (e.g. Google, Bing, Yahoo! etc) when you want to make a search online. These keywords can range from just a word, or a short phrase (e.g. “best soccer player”), to very long phrases, or ‘long-tail’ keywords (e.g. “best soccer player in 2014 with the highest goals”). These keywords are what search engine crawlers use, to identify your contents, and correctly classify them as either relevant, or irrelevant to a particular search. So a detailed keyword research on your niche, and the correct positioning of these keywords on your website, can help skyrocket your ranking, if done the right way. Before you search for keywords to use, you must take the time to study your competition. Your competitor’s are those websites in your niche, that rank high for the specific keywords you are aiming to rank for. It is best you visit these sites to check out what they are doing differently from others, and how often they use the keywords in their contents. Are they over-optimizing or fairly optimizing their contents? How long, and rich is their contents? How many internal links do they have on their web pages? These are examples of information you should gather, before embarking on a keyword research. 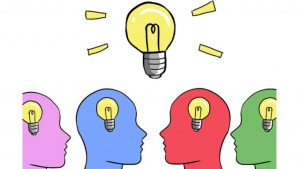 Another important thing you should do, is carry out a detailed research on what people that visit your niche look for, and how they search for the kind of contents you create. Also, you should know that there are competitive keywords, and non-competitive keywords. Short phrases are usually more competitive to rank for, while long-tail keywords are usually less competitive. This is normal, because not many websites consciously optimize their contents to rank high for them, which means you can take advantage. 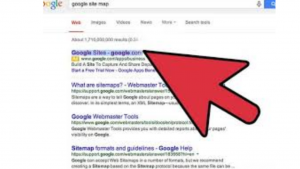 You can achieve this by using search engine keyword tools such as Jaaxy, Google Keyword Planner, SEM Rush, Moz Keyword Explorer, WordStream, and many others, which will help you analyze each keyword(s), you want to rank for. 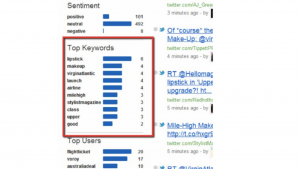 These keyword tools, give you information on the number of searches, the competitiveness, impressions, and so on. Here are important steps you should take, when trying to find the right keyword(s), that goes well with the type of content you create, on your website and niche. What niche does your website/business belong to? What type of services do you deliver? What makes your method of delivery different from others? What special services do you render? Who are your audiences and where are they located? These are just a few points to consider. Make sure you answer questions that will help you classify your services better. By doing this, choosing the appropriate keywords to use, will be pretty easier. What would I search for to try to find my product? What would someone else name/title, what I have to sell? How do regular people talk about the products, or services I offer? What do the experts call my products, or services? Check out your highest ranking competitors. You can select as many highly ranked websites as possible. Study their contents properly, sieve out the keywords they use, and the frequency of each keyword their using. Document the keywords, and group them appropriately. Then you can go ahead to compare them to your brainstormed keyword ideas, make relevant adjustments (add, remove and so on). Compile all your keywords, and get ready to sieve out a few. You are never suppose to steal their contents. Just their keywords. Now, it is time for you to eliminate some keywords on your list, because not all of them can be used. You should also avoid over-optimizing your contents. Search engines like Google, frown upon stuff like that. Select a few keywords that meet the criteria. You don’t need like a million keywords to rank high, just a relevant few. The final, and recurring step to smartly position these keywords into your webpage, and web content. This process is commonly referred to as On-Page SEO, and you can optimize your website with your keywords, by editing the following features on your website. Page Title: Your title is one of the most important parts of your entire content. This is because it’s the first thing visitors will read before deciding to go ahead with reading the article. Your title should contain relevant keywords that will help attract a reader, and also help optimize your content. Meta Description: A Meta description, is located just under your page title and it usually contains a brief summary of what the page is about. 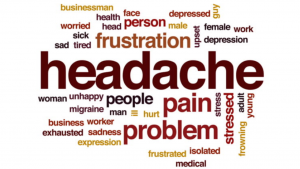 It is usually about 150 characters long, and keywords can be squeezed in smartly. The URL: It is important you insert a primary keyword in the page’s URL, and each keyword should be separated by a dash (-). Heading Tags: Each page on your website should have one H1 heading tag, with the primary keyword, and it should rhyme with the page title and the URL or the page. This H1 tag should appear at the top of the page, and should be the first thing people see when they arrive on a page. 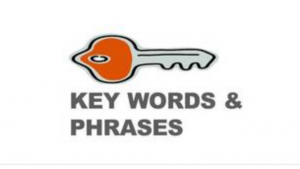 Page Content: It is very important that you incorporate keywords into your page contents. 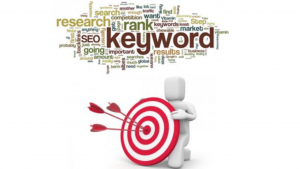 Select a few keywords that relate to the content, and repeat them at a low frequency. You don’t need to over-optimize the page; a keyword appearing 2 0r 4 times is alright, 10 or 20 is just not right. Note that over-optimizing can especially affect your search engine ranking. Images and Videos: It is relevant you use images on your website because it increases interactions, and draws the attention of your visitors better than just a boring plain text. It is important you insert keywords into your images, and videos because a search engine cannot identify them. So naming/tagging them will help, and will also help boost your search engine ranking. By now, I will assume you know what keywords are, and how useful, and important they are in achieving a successful search engine ranking. Just have it in mind, that keyword implementation is just one of many ways to increase your ranking online. So follow the steps above and start gaining free organic traffic today! Tired Of Being Scammed Online? Click here To Read My # 1 Recommendation! Do you have something to say about keywords or something to add? Maybe you have something to add about your success or failures with incorporating what just shared? If you do, please take the time and leave your comment at the bottom. I would love to hear whats on your mind! Thanks for reading my post, and good luck with your success!